I can remember the first time I saw the “Harp & Bowl Model” of intercessory worship. A team had come up from the International House of Prayer in Kansas City (IHOP) and was demonstrating this dynamic fusion of worship and prayer at Little Trinity Anglican Church in Toronto. As the ancient beams of the church quivered with the decibel level, everything inside me started to resonate as I realized that I could sing my prayers! I could sing the Scriptures! Prayer, which had seemed inaccessible and arduous, could be enjoyable! Imagine that! We love the Spiritual DNA from IHOP (www.ihop.org). It provided me, a worship leader, with on-ramps into enjoyable prayer, which eventually led me to an on-ramp into full time prayer missions. The Greater Ontario House of Prayer was founded ten years ago, and fashioned itself around IHOP structures, models of ministry, and corporate culture. But, after a while, like most Houses of Prayer in Canada we began to feel frustrated and discouraged. We couldn’t cobble together more than a handful of musicians needed for Harp & Bowl, let alone the hundreds of staff required to fuel ongoing 24/7 worship and prayer. While local intercessors were glad to gather for prayer events, it was extremely difficult to find those who would give themselves to the “fasted lifestyle” – a life radically re-ordered towards prayer, fasting and simplicity. We loved gathering Charismatic Christians, who were naturally drawn to the IHOP model, but longed to see a fuller representation of the Body engaging in prayer for the city. We wanted to see everyone praying more, and weren’t sure how to accomplish it. Ministering to the Lord in the prayer room was exciting, but we found ourselves wanting to engage more in mission and justice, putting feet to our prayers. Interestingly enough, IHOP Kansas City was not the only global 24/7 prayer movement to birth in the fall of 1999. The same September, a group of young adults in Chichester, England, started a 24-7 prayer meeting that rapidly evolved into a global night and day prayer movement, based around the internet hub www.24-7prayer.com. It carried it’s own unique DNA with a particular emphasis on prayer, learning and discipleship, hospitality, creativity and the arts, mission, mercy and justice (for a fuller understanding, check out the “Boiler Room Rule” here). Last Sunday night we began a week of 24/7 prayer for the village of Waterdown, a small community north of Hamilton. In a facility loaned to us by Youth Unlimited, we set up a House of Prayer – a sacred space in the middle of the village where we could all gather. Local churches developed creative prayer stations to facilitate prayer for local families, including a prayer station for parents, for those dealing with addiction, and for those wrestling with identity/purpose issues. There is canvas on the floor so that people can “draw” their prayers, and there are instruments set up in a corner for the musically inclined. The first two hours of the week of 24/7, we gathered a group of folks from the Charismatic stream for a “Gathering of Eagles.” For two hours they prayed and prophesied over the community of Waterdown. We recorded the session, will pull out the main themes and present a report to all of the pastors in the community. Just at the end of that two hour session, another participant, someone from the Contemplative stream, entered in and led us all in a contemplative prayer exercise. It turned into an exercise in hilarity as he inadvertently, every time he opened his mouth, brought confirmation to all the main themes we had discerned through our listening prayer time. For the rest of the week, individuals in Waterdown can visit the location any time, night and day, and pray for the community. We have several one hour time slots allocated for Contemplative prayer, facilitated by a Benedictine novice from Hamilton. Several one hour slots are also allocated for “Harp & Bowl” worship and prayer, where those from the Charismatic stream will gather to sing the scriptures and sing their prayers. Three hours each day have been set aside for prayer for families, where people from the community can walk in off the street and be prayed for by trained teams. At the end of the week, we are having a Community Celebration, where the churches in Waterdown will gather together to worship and pray for the village. This week will provide all kinds of on-ramps for those of various traditions to come and pray, and pray together. In addition, this Thursday we are having a Community Dinner, where we are gathering some leaders from different churches together to build relationship and to study some 24-7prayer.com materials on Christ Centred Community. The whole week is a lovely fusion of the spiritual DNA of both prayer movements. With our “genetic engineering” we are finding ways and whys of doing things that are a better fit for us and for our community. Let’s assume that we are in agreement that collaboration is good, and of some benefit to us. We launch from that starting place and encounter our first obstacle. What if nobody wants to collaborate with us? We feel that in the melee of the multitudes of ministries, our voice goes unnoticed and unheard. In my early years of ministry, I honestly felt like a product in a glutted market, and no one was buying. What I needed was favor and influence. But what was it exactly and how on earth was I going to get it? We will get to a definition of favor, but let’s begin with a description rather than prescription. I remember my first coffee meeting with Tim. He had questions about prayer written on a crumpled up piece of paper that he retrieved from his pocket and smoothed onto the coffee shop table. He had enthusiasm, an obvious devotion to the Lord, a questing heart and an inquisitive mind. At the time, he was working for a window cleaning company, but a few minutes of conversation with him revealed that God was powerfully at work in his life and that Tim was fully submitted to that process. I could “sense” the favor of the Lord on him, and that inclined my heart to extend favor as well. It wasn’t long before I invited Tim to join our staff at the House of Prayer. Despite the fact that he had a young family to provide for, Tim took the leap of faith and joined our band of merry “musician-aries”. At work, he displayed uncommon commitment, a servant attitude, a meekness of heart and a teachable spirit, responding with grace to the Lord’s adjustments and correction and to mine as well. He was gracious and un-offendable, wise and loving in his dealings in house and out of house. During his time at the House of Prayer, specific vision for life and ministry began to come into focus in his heart. He is leaving us this summer to pursue that vision, and I am going ahead of him with the reach of my influence, to prepare the way, make ministry connections, and open doors for him in his new context. Tim found favor with God and with me, and I know that he will continue to find favor wherever he goes. Tim changed us while he was with us. 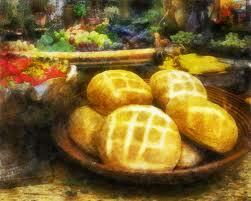 One of the analogies we use to describe the House of Prayer is the “people soup” . GOHOP takes on the flavor and characteristics of it’s participants, rather than requiring that they discard their distinctiveness to meld into the group dynamic. When new people come, GOHOP looks and tastes different – we are always changing and evolving, which is a very exciting process. Tim is an evangelist with a hunger to see signs and wonders and the demonstrations of the power of God. During his time with us, we were infected by that hunger and began to pursue healing through prayer and through further equipping. We, being the House of Prayer, changed Tim. Tim changed us. 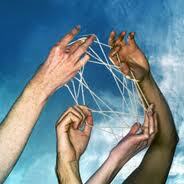 Wonderful new things birthed in our midst – collaboration. Let me tell you another story. In the early years, in my zeal for the House of Prayer, I began to meet with local leaders in my city to share my vision. I remember having a coffee meeting with one pastor, where I chatted happily away about night and day prayer and the Harp and Bowl model of prayer and worship and how it would change everything. I handed her a 6 cassette series (yes, it was a looong time ago) about the Harp & Bowl model, sure that it would bless her socks off and revolutionize her spiritual life and her church. I didn’t ask her about her church or the dreams she was carrying in her heart because, after all, this was my opportunity to invite her to join me! I didn’t hear back from her for years, and I couldn’t understand why. I now know that pastors have a built in “personal empire sniffer” and they can smell personal agendas, mixed motives and spiritual pride a mile away. Fast forward eight years or so. That pastor is now the chairperson of our city Pastors and Leaders network, and I collaborate with her on the servant leadership team. Together we work with pastors in the city on citywide prayer and missional partnerships. We are close friends and have a deep love and commitment to one another and enjoy collaboration on a number of levels. How did I get here from where I was, enthusiastic but relatively unknown and marginalized? I grew in favor with God and with man. How do we grow in favor? With God and with man? Favor, in the Luke 2:52 passage I’m referring to, is the word “charis”, which seems to mean in this context “a beneficent disposition toward someone, favor, grace, gracious care/help, goodwill.” This word “charis” is also translated “grace” in other contexts. Implicit in this is that favor cannot be earned – it is a gift freely given – often a gift that we do not deserve. So we can grow in favor, we can position ourselves to receive it, we can, as one of my mentors says “put ourselves in the path of oncoming grace”. We do this by doing what Tim did. Pursuing God for God’s sake, simply because He is worthy of pursuit. Submitting ourselves to Him. Being teachable and allowing Him to refine our character and purify our motives. Cultivating humility and refusing to be offended. Focusing on the relationships first and tasks second. Bringing our unique contribution to serve the vision of the larger community (or ministry). Taking our vision and stewardship, laying it down, for the sake of serving the bigger Vision. This may on the front end seem counter-intuitive, but remember we are working with the God who tells us to lay down our lives in order to gain them, and to be the servant of all. God never did anything alone. I’m an entrepreneur. I love to birth and build things. Over the course of my career I have rarely worked in a position with a job description that I haven’t crafted for myself, on a vision that hasn’t been birthed in my heart. My entrepreneurship can and has been a blessing to me and to the people around me, but I have learned over the years that a spirit of entrepreneurship needs to be married to a spirit of collaboration in order to bear the fruit that God desires. Yes, God wants us to build. But more importantly, He wants us to build together. In the North American church and ministry context, we know how to build. 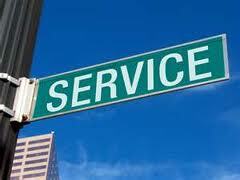 We receive vision and direction from the Lord – are given a ministry or idea to steward and develop. In our desire to guard and protect the stewardship He has entrusted to us, we hold it close to our heart like a football quarterback on a surprise run to the end zone, protecting it and evading possible opponents. Those who come in our path are categorized as possible tools to strengthen that which we are building, or possible threats to the vision. And all of this feels very responsible and holy to us because we are, after all, trying to do only what we see the Father doing. Collaboration, in our eyes, means gathering enough people around us as we build, placing each one as a brick in the edifice we are constructing. These mindsets and methodologies would likely have Jesus shaking his head in perplexity. He was raised in a tribal, community based culture, far removed from the raging individualism of our North American experience. So how do we move towards what I believe to be a more Biblical, and what I know to be a way more enjoyable and exciting way of partnering with God and one another? Let’s start with vision. Ministry often begins in a moment of inspiration – an epiphany where our eyes are opened in some way to where God is at work around us. Here is where the problems can begin, unless we are aware that we don’t see the whole picture. At best, we are like someone standing in the middle of a room, trying to verbally describe what is in our line of sight. We can see the room – well, some of it. But even if we had highly developed peripheral vision, we would be unable to describe every view and vantage point of our surroundings. Paul says in 1 Corinthians 13:9, “For we know in part and we prophesy in part,”. Receiving vision and direction from the Lord is one thing. Contextualizing what we receive in light of the larger community and the bigger picture is a secondary and I believe critical step that many of us miss. Here is a fictitious example. George, in his morning quiet time, reads Micah 6:8, “He has shown you, O mortal, what is good. And what does the LORD require of you? To act justly and to love mercy and to walk humbly with your God.” Somehow it is highlighted to his heart and he begins to receive a flow of inspiration and ideas about ministering to the homeless in his community. He goes to his pastor, asks if the church can begin a ministry to the homeless. He begins to recruit people to his vision and wrestle in committee meetings for a slice of the church home missions budget. When other new ministries birth at the church, George feels protective and vaguely resentful that the church resources are being spread so thin, especially when he can’t get enough volunteers as it is. And he can’t understand why the church down the street won’t let him share from their pulpit about his ministry. Sound familiar? It does to me. I see it all the time. Has George heard from the Lord? Likely. Is he responsibly developing and stewarding that which he has been entrusted with? Perhaps. Perhaps not. How do we move away from individualistic mindsets and methodologies and move towards community and collaboration? In subsequent sections, I will share my thoughts, based on my experience (mostly my mistakes) over the last ten years of serving and building collaboration in the prayer movement. “I’m done. I quit! This has been too hard for too long! I’m tired of being a broke missionary! I’m tired of trying to motivate people to pray who don’t want to pray! I’m gonna go work for Starbucks! I don’t have to motivate anybody to buy a latté!” I was feeling particularly cranky that morning. “Hhhmmmf.” I turned from him and turned back to the online application for Starbucks that I was working on. “But Lord,” I whined (I whined a lot on my sabbatical), “I don’t draw young adults into my orbit! If I have an event, only 40 year old ladies come! A youth magnet I ain’t”. I whined again, just for good measure. Muttered and grumbled. But said yes. Over the last couple of months, God has begun to roll out the blueprints for the next season in the life of the House of Prayer. He is ordering our steps in ways we have never experienced before in all our years of ministry and I’ve never had so much fun in my whole life! Over the next few months I will be in touch more frequently than I have been so I can share with you what is unfolding. As soon as I said “yes”, right out of the blue, the next generation of prayer leaders began to call me. And email me. And text me. The last month and a half have been meeting after meeting with a fantastic generation of sold out young men and women who are passionate for the King and His Kingdom. This was the next thing that the Lord spoke to me about as soon as I said “Yes” to the next generation. Pursue strategic partnerships. He began to highlight to me some life giving and fruitful partnerships that Gohop already had, like with True City www.truecity.ca (We just finished up a wonderful week of 24/7 prayer for Hamilton, in collaboration with True City, where hundreds came from all manner of ages and denominations, to pray night and day for the good of the city). We began to explore those partnerships more fully. We are strengthening our partnership with the Canadian branch www.24-7prayer.com and looking into the possibility of becoming one of 24/7’s Boiler Rooms/Urban Monasteries. We are working with Richard Long of “Together Canada ” www.togethercanada.wordpress.com to see how we can bring strength and support to the emerging Houses of Prayer across the nation. We are also believing that God will plant a YWAM base in downtown Hamilton, so we can raise up a generation of pursuers of God and pursuers of justice in the city. The Lord spoke to us that He was going to open up downtown Hamilton to us in the next season. He told us to “Knock, and the door will be opened.” So we are knocking on the doors of our relationships in the city and speaking to the friends that we have made over the last 9 ½ years of praying for the city, knowing that as we do that, God will make a way for us to re-locate to downtown Hamilton and re-launch in the fall there as an Urban Monastery. We are experiencing levels of favour that are just blowing us away. Several people have joined our team, staff and volunteers, and more are on the way! Kirk and I are also planning to relocate our home and move into the urban core this summer. All this to say, things have really shifted into gear in this season and we are moving forward with divine momentum. It is so exciting! God is so at work in our midst, showing us our next steps, and making a way for us to go there. Thanks everyone for hanging in there with us over the years. We are in a new season, and God is up to something fantastic! I love grapes. A lot. Probably too much. Little mouthwatering explosions of juicy goodness (drooling yet?). I’ve often commented to my friends that I’m convinced that there are going to be grapes at the Wedding Feast at the end of the age. They’re just too tasty to not be in heaven. It’s the day after our week of 24/7 Prayer in Hamilton, and I’m lolling on the couch, soporific as a python digesting an elephant. What a feast it has been! It was a week long smorgasbord where devotees from across the city came together and served up their unique expressions of prayer and worship. “I love to dance my prayers, even though it still freaks me out a bit when I do it”. 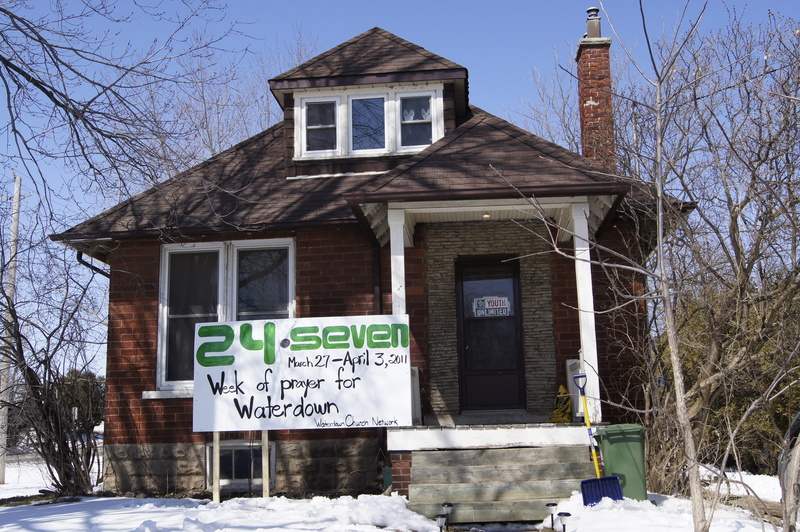 I can’t wait until the next week of 24/7 prayer – coming up in Waterdown March 27 – April 3! The evenings are allocated to specific churches, but if you want to sign up for a daytime slot, or the nightwatch if you’re a guy or if there are a couple of you (no girls alone), or the weekends, sign up here and join us!